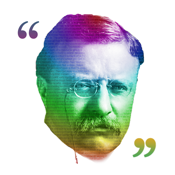 Get inspiring quotes from Teddy Roosevelt while giving back to a cause near and dear to his heart: the conservation of America's natural resources. A portion of all app sales will be donated to help the conservation and preservation of America's natural resources and national parks. "There can be no greater issue than that of conservation in this country." "The nation behaves well if it treats its natural resources as assets which it must turn over to the next generation increased, and not impaired, in value." 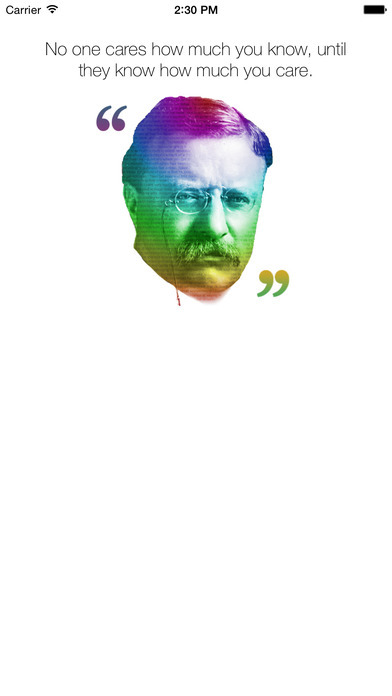 Understand Teddy better than ever before by getting some of his most profound thoughts directly on your iPhone or iWatch. You can even impress your friends by being able to recognize and recite his most famous quotes. 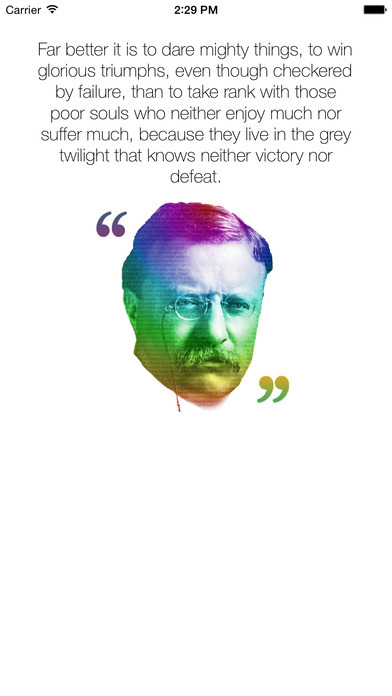 This app is perfect for anyone who loves history, politics, famous people, inspirational and motivational quotes, presidential history, USA, and, of course, Teddy Roosevelt.